Scandinavia exists of several countries in the north part of Europe. There are several thoughts about which countries are part of Scandinavia. 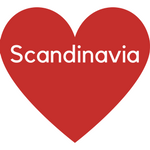 For us Scandinavia exists of Finland, Sweden, Norway including Svalbard, Denmark including Faroe Islands and Iceland. So you can expect information from these countries. And as we living in The Netherlands we will take you to these countries from this site of Europe. There are several ways to travel to Scandinavia depending the location you currently are. And depending your destination in Scandinavia. Here we show the basic options. More detailed options can be found on specific locations posts. Links to these posts will be added here. We usually travel with our car (and caravan) to Scandinavia. Depending on the destination you will have to use one or two toll bridge(s) or a ferry. 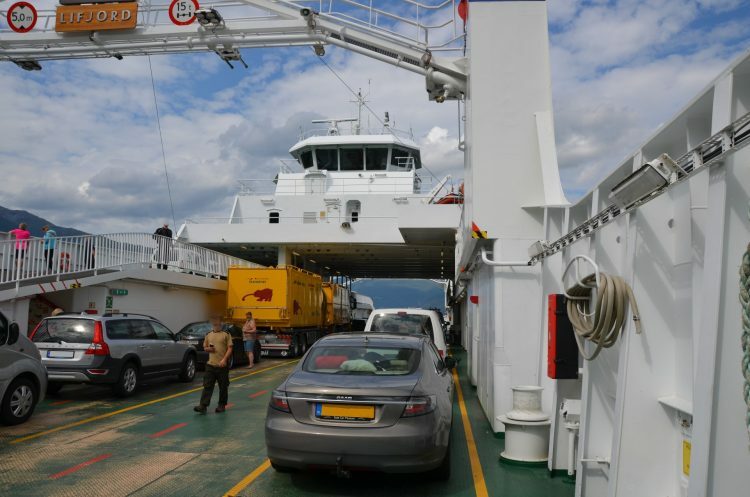 In some cases you have to book a ferry before traveling, but it is not always necessary. All the options to take a bridge or a ferry can be found in the post How to travel to Scandinavia by car. Our SAAB 9-5ng on a ferry at Sognefjord, Norway. If you have your own boat made for the seas you can make a fantastic holiday traveling up north. Or you can make a fantastic cruise. There are probably also a few ferry options, but this was much more popular years ago. Although we have only a little bit of experience we will get more detailed about this way of traveling in other posts. There are a lot of airports in Scandinavia. On the map below you find a global overview for Denmark, Norway and Sweden. More detailed can be found in specific posts. You can search for a travelplan to go by train. For example on the website www.nsinternational.nl which is from a Dutch railway company. But your local railway company will probably also have the option for international traveling.